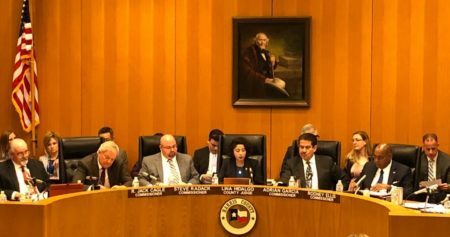 The companies say the protection offered by the cap now covering the site is sufficient, and are opposed to the expensive cleanup. The EPA’s plan calls for ringing the site with a temporary dam and digging up 212,000 cubic yards of contaminated sediments, enough to fill about 16,000 dump trucks. The plan calls for ringing the site with a temporary dam and digging up 212,000 cubic yards of contaminated sediments. 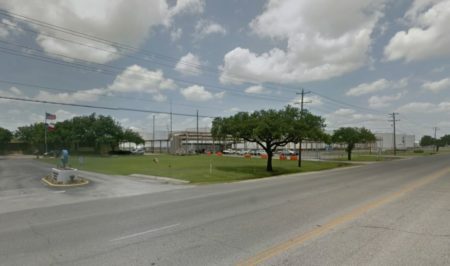 The Environmental Protection Agency ordered two companies on Thursday to make more extensive repairs to stabilize the area around a Superfund toxic waste site near Houston following Hurricane Harvey. 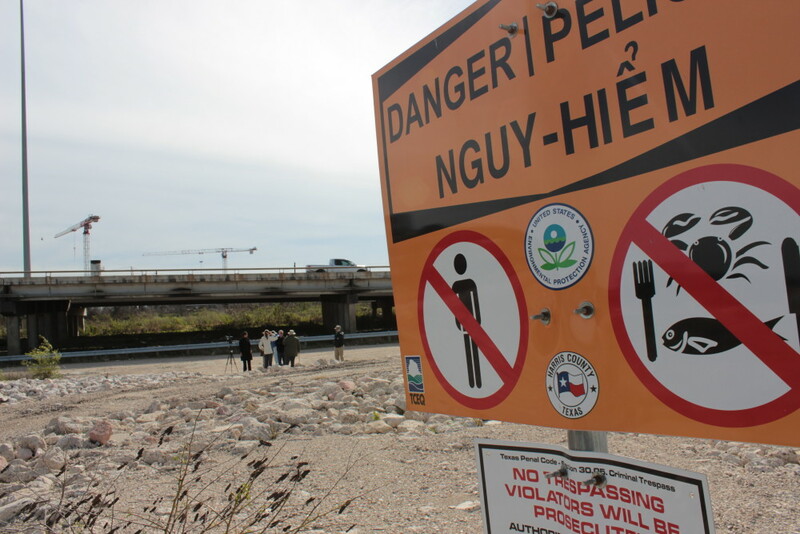 EPA said a survey of the area near the San Jacinto River Waste Pits found erosion of the river bottom up to 12 feet deep in a 20,000-square-foot area adjacent to a fabric and stone cap intended to keep highly contaminated sediments from washing away. EPA Administrator Scott Pruitt has ordered International Paper and a subsidiary of Waste Management Inc. to underwrite a $115 million cleanup at the 16-acre site, a low-lying island in the middle of the river where contaminated pulp from a paper mill was disposed of during the 1960s. Sampling by an agency dive team in the days after the historic storm revealed exposed sediments containing dioxin levels at 70,000 nanograms per kilogram — more than 2,300 times the level set to trigger a cleanup. The companies are opposed to the expensive cleanup. EPA’s plan calls for ringing the site with a temporary dam and digging up 212,000 cubic yards of contaminated sediments, enough to fill about 16,000 dump trucks. The companies contend the protection offered by the cap now covering the site is sufficient. 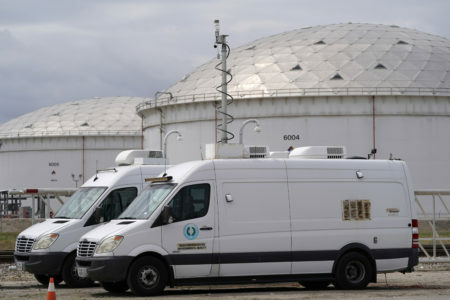 In a statement issued Thursday, they said additional sampling by a private contractor found no evidence that contamination from the site was spread by the storm. EPA said those results, which still included a sample containing dioxins slightly above the mandated cleanup level, are preliminary. A final analysis should be completed in about two weeks, the agency said. Pruitt’s cleanup order triggers the beginning of what could be months of negotiations between EPA and the two companies to reach a settlement. If the companies refuse to comply with Pruitt’s order, EPA could sue in federal court to require compliance. 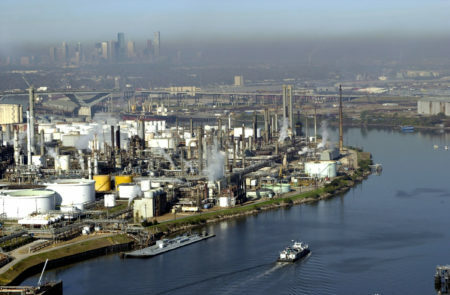 The San Jacinto River empties into Galveston Bay, where state health officials have long advised against regularly consuming fish and shellfish due to contamination from dioxins and PCBs.